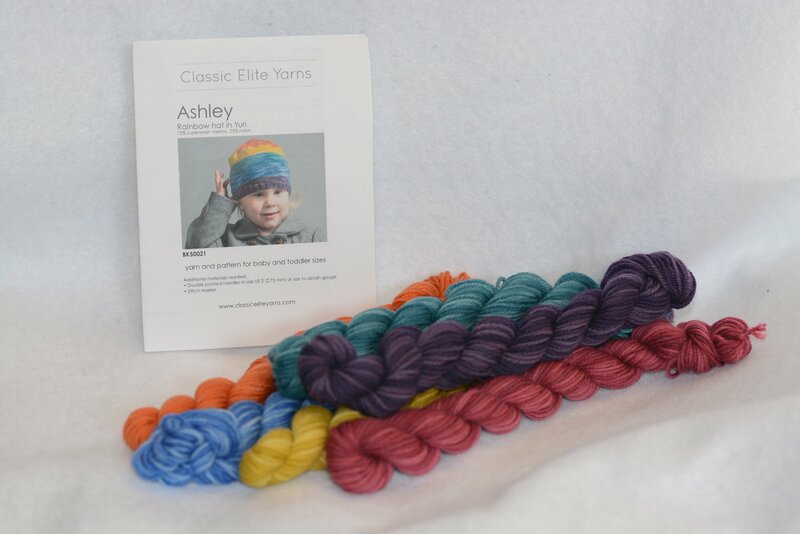 Six mini-skein of Yuri sock weight yarn are included in this kit. The pattern is also included for baby and toddler sizes. Requires Size 2 DPN's and a stitch marker for the kit.